Many birders consider squirrels at their bird feeders to be a nuisance but I think the squirrels are cheap entertainment for me and the cats, such as Emma watching this squirrel hang upside down to get to the suet feeder. 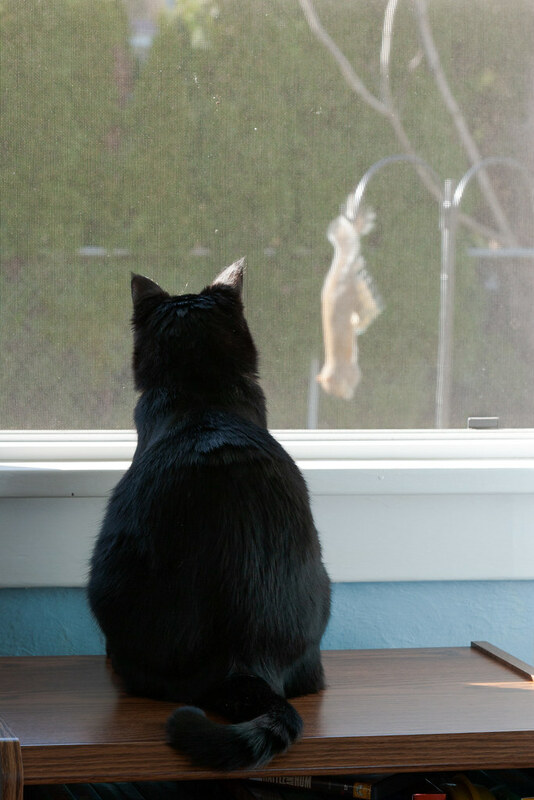 This entry was posted in Pets and tagged bird feeder, black cat, cat, eastern gray squirrel, Emma, sitting, window. Bookmark the permalink.